Have you ever wondered what the differences between a VW Golf and a Hyundai Veloster are? Get your questions answered by browsing our vehicle comparison pages. For your convenience, we’ve put our most popular VW models side-by-side with similar models of other brands to clearly outline all the reasons why drivers in the Gilbert, AZ area should choose a Volkswagen car or SUV. Below you’ll find a vast array of Volkswagen models. Simply click on your favorite vehicle and you will be guided to a page where you can compare the VW with a similar model. These comparisons will give you information on each vehicle’s performance, safety features, and much more. 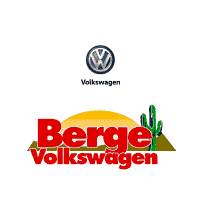 Drivers in the Gilbert, AZ area can get in touch with a Berge Volkswagen sales representative through our online contact form or by phone at (480) 646-4858 for more information or to set up a test drive. And see what VW Inventory we have to offer!